However, it just so happened that you managed to see your competitor bidding for a keyword several days ago. 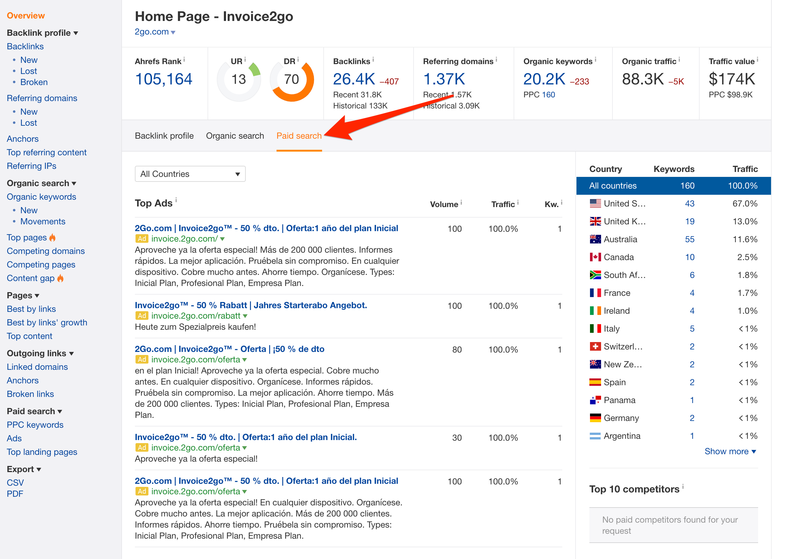 Yet, you do not see the keyword reflected in Ahrefs' Paid Search report. This section shows when Ahrefs last looked at the SERPs for that particular keyword. Our Paid Search report serves as a snapshot of how searchers actually see ads for those keywords. 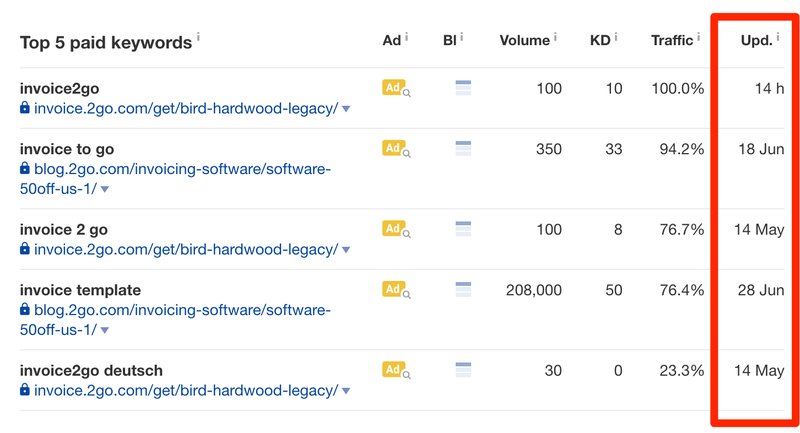 If a particular paid keyword or URL is not included in our report, it means that Google did not show us ads for us at the time we pulled the report. Remember: the Google Adwords system is a auction system where ads can appear or disappear depending on the advertiser's bid. If an advertiser is not consistently outbidding their competitors to get more impressions, we might fail to see that keyword. This also means that the paid search results is much more volatile than the organic search results. An ad may disappear during the time we pulled the report, but reappear on a later date due to the fluctuations of the bidding system. Do also note that the most accurate paid keywords data you can ever get are directly from Google Adwords itself.